Much is made in business these days of the triple-bottom line—the point where social impact meets ecological effect meets profit. Indeed, Cone Communications, a marketing company specializing in Corporate Social Responsibility (CSR) campaigns, reported last year that 63% of Americans surveyed said they hoped that businesses would take a lead in driving sustainability forward, and 87% said they would purchase a product because the company had advocated for an issue they believed in. Evidently, incentives for businesses to commit to CSR initiatives are increasing, and businesses are adapting to the changes. Diana Mangalagiu, a professor of strategy and sustainability on the Global Executive MBA at NEOMA Business School, has been working on sustainability and CSR for over two decades, and says that many organizations are now building sustainability into their strategies for growth. It’s not just a reputational issue anymore, Diana stresses; companies know that their image is intimately tied to their business model, and that if they want their business to have a long life, they have to contribute to the wellness of the planet. “You can tell that it’s serious because when I talk to companies about this issue, I talk to the VP of strategy, not the VP of PR,” explains Diana. 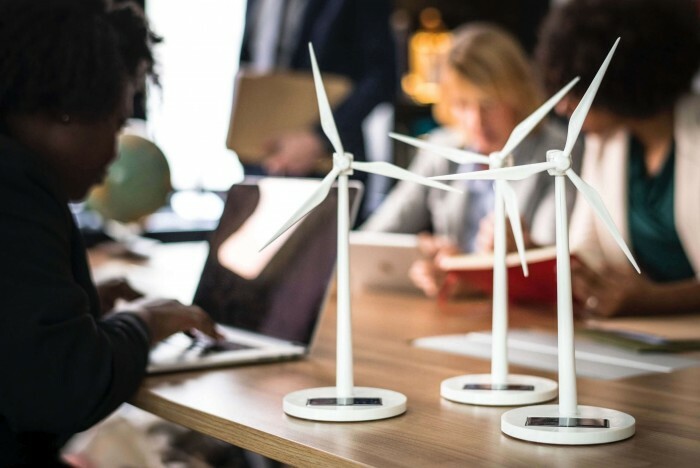 This shift in attitudes around sustainability means that students, particularly at the executive level, need to be taught about CSR—and in fact, Diana notes that many have been specifically asking for it. “I started teaching business school classes quite long ago and frankly, 20 years ago there was zero appetite in business schools to think and talk about these issues,” she recalls. One thing that executive students consistently lack when they arrive at NEOMA Business School is an awareness of their individual impact and their potential for impact, says Diana. “They’re definitely not aware of how their personal behavior and their professional behavior link to the big picture—and how much or how little they can do about it,” she says. One exercise that Diana uses to get her students thinking about their impact on the environment is to ask them to home in on one aspect of their daily routine—for example the clothes they are wearing—and ask themselves what effect it is having on the planet and on society. Where are your clothes from? How were they made, and who made them? “From there, we work with bigger cases—I have a big network of companies who they can either interview or who come and testify,” Diana says. But the CSR teaching on the Global EMBA at NEOMA Business School doesn’t stop at the on-campus teaching. This extrapolation of individual impact into broader business cases is backed up by immersive education on the GEMBA’s International Learning Experience (ILE) in Bangalore, India, where students focus on social impact. “Our objective is to participate in business there and to discover that the Western way of thinking can be challenged with another paradigm, enriching students’ mindsets,” says Charles Waldman, the director of the Global EMBA at NEOMA. On the ILE, students get to experience how businesses at both the entrepreneurial level and higher contribute to fighting poverty in Bangalore. “These businesses have been demonstrating that cleverly-built, cost-efficient, societally-sensitive business propositions can do better to fight poverty than traditional public subsidies, and that business and the fight against poverty can mix very nicely,” says Charles. Though he can’t give too much away because of the professor’s belief in surprising students with the course content, Charles says that the key takeaway for students from the Bangalore ILE is exposure to the “more empathetic management thinking” practised in India. “You also learn that new business paradigms which are fully adapted to social realities can strongly contribute to societal progress,” says Charles. As the future of work becomes more and more focused on business as a force for ecological and social good, executives need to adapt their managerial styles in order to survive—and the teaching on the Global EMBA at NEOMA Business School gives students a head start.